Senior Constables Owen Davies and Dave Robison with their trophies. The Paw Blacks: Owen Davies with Quid; Dave Robison with Isaac; Tiny Taylor and Murphy. Congratulations to our 'Paw Black' dog team on their success in the Australian and New Zealand Police Dog Trials. 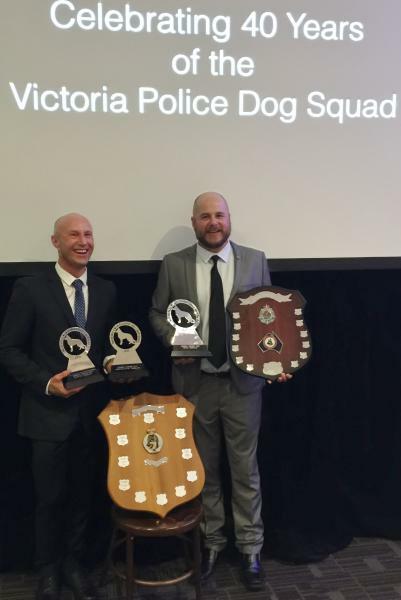 After six days of intense competition in Melbourne, Senior Constable Dave Robison and Isaac, from Whakatane, won the individual patrol dog category. Senior Constable Owen Davies and Quid, from Auckland, were runners-up. Dave and Isaac also took out the top tracking award, while Owen and Quid won the top searching award. Together their results mean New Zealand Police retains the team trophy for the seventh time of the eight occasions it has been contested. Senior Constable Phillip (Tiny) Taylor and Murphy also put in a strong performance against tough opposition in the narcotic detector dog category. The teams had to track through properties and buildings, search vehicles, and find drugs, property and offenders as they were put through their paces in testing true-to-life scenarios. Also in Melbourne were Senior Sergeant Chris Best, of the NZ Police Dog Training Centre at Trentham, New Zealand’s judge in the competition, and Sergeant Steve Pike, of Auckland dog section, the NZ team manager. Inspector Todd Southall, National Coordinator Police Dogs, says he is very proud of the way the whole team worked. 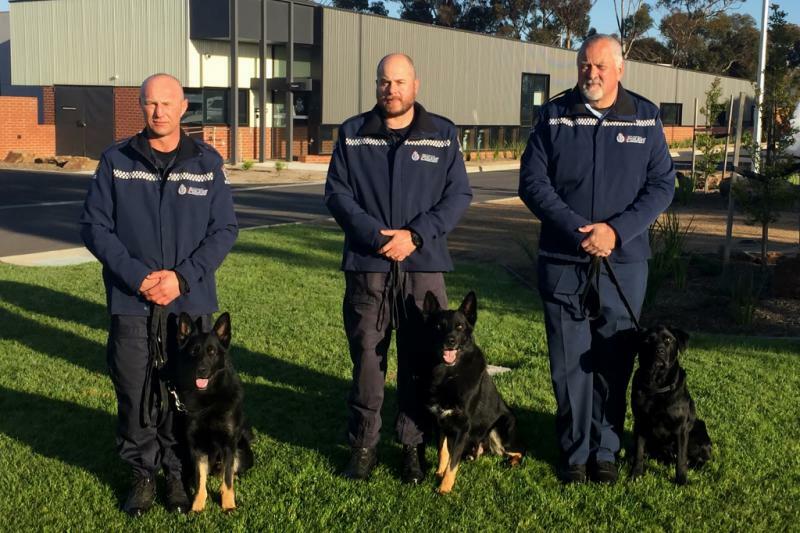 The trials coincide with the 40th anniversary of the Victoria Police Dog Section and the opening of their new police dog and horse training facility. As the officers return to New Zealand, the three dogs will remain in Melbourne for a few days for standard vet checks before flying home to return to operational duties. Our photos show: Senior Constables Owen Davies and Dave Robison with their trophies; and the Paw Blacks: Owen Davies with Quid; Dave Robison with Isaac; Tiny Taylor and Murphy.